The Crimes of Grindelwald is entertaining as a work of high fantasy, but the film is hampered by its muddled and confused narrative. When Warner Brothers first announced its intention to make a big screen movie based on the fictional textbook Fantastic Beasts and Where to Find Them, I was skeptical such a small work could be transformed into a major motion picture. After the success of the first film, it was then announced that it was the first part of a five film series, a prospect that would make even Peter Jackson blush. It turns out that I was correct: the book could not sustain a film series—but that was never the intent of Crimes of Grindlewald. 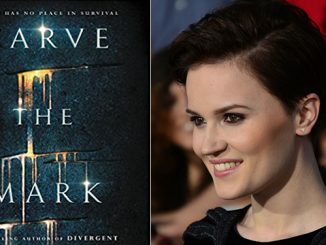 Rather, J.K. Rowling transformed the story into an extended prequel to Harry Potter. This will please some and annoy others. I fall mostly into the first camp, though my doubts have not completely disappeared. 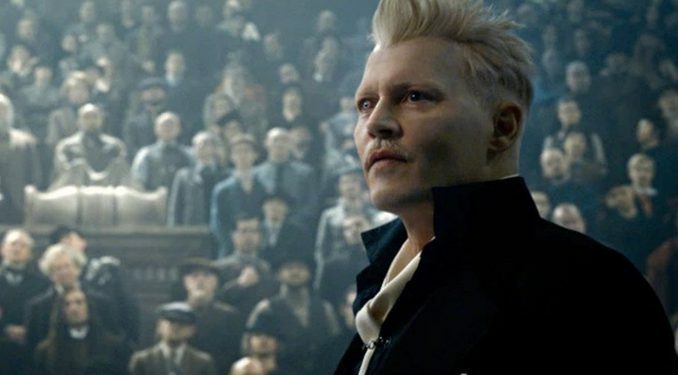 The film begins with a “surprise” that everyone saw coming: Gellert Grindelwald (Johnny Depp) easily escapes prison and begins to amass followers, preparing for a rebellion against the current Wizard authority. Meanwhile Credence (Ezra Millar) and his incredibly confusing Obscurus parasite have inexplicably survived from the last film and are being hunted by various forces, both good and evil. Newt Scamander (Eddie Redmayne) is once again pulled into the drama, mostly to rekindle his old flame with Tina Goldstein, an undercover auror also looking for Credence. This is only the start of a number of bizarre and complex relationships and plot developments. There aren’t many “beasts” to be seen, but Newt keeps a few around (think James Bond and his various gadgets). It all feels like a more somber version of Scooby Doo with Newt and his team of misfits solving mysteries and saving the world. At center stage is Grindelwald and his racist ideology. Currently, wizards must hide their magic and are severely punished for revealing themselves. Grindelwald believes pure-blood wizards “have a right to rule.” They are a master race meant to dominate the humans. This theme has appeared many times in fantasy, especially the X-Men series. Like most dictators, he is charming and manipulative, appealing both to good impulses (freedom to marry muggles) and bad (genocide of muggles). When the Harry Potter series first emerged in the early 2000s, it was criticized for its pagan imagery. If there is pagan influence in the series, it does not come from the occult but the modern, secularist adage that “the ends justify the means.” Grindelwald uses this philosophy effectively, using WWII and nuclear proliferation to convince wizards that mankind simply cannot be trusted to rule themselves and they would do a better job, even if that means killing many innocents. These themes are obvious, and few would object to Newt’s desire to bring Grindelwald to justice. What makes the film difficult is its muddled and confused narrative. I’m by no means a Harry Potter expert, but I am married to one (and read all the books as a prerequisite to dating her). Yet I constantly found myself baffled by the sheer number of characters and references, although it was not an entirely unenjoyable experience. The Crimes of Grindelwald, as work of high fantasy, is entertaining, even more so than the first Fantastic Beasts. Yet at the same time, this is clearly a film meant for fans alone. Anyone unfamiliar with this Universe will be lost. If one is familiar, you will still be lost, but at least you’ll have a good time finding your way.